Could this be the inexpensive, quality Windows tablet we've been waiting for? I’d love to pay less for a lower-end Windows tablet—especially one that has the look and feel of a premium device like Microsoft’s Surface Book. That’s the category Chuwi is targeting, snatching up the remnants of Intel’s Atom lineup and stuffing them inside a line of 2-in-1 devices that bear a resemblance to the Surface Book. In fact, Chuwi’s Hi13 offers exactly the same dimensions and screen size as the Surface Book, which costs at least $1,500. In addition to its 13.5-inch screen with 3000x2000 resolution, the Hi13 includes 4GB of RAM and Windows 10 Home. The Surface Book, though, uses Intel’s pricey Core chip, while Chuwi’s Hi13 features the far cheaper Apollo Lake Atom. Launched last year at IFA, Apollo Lake uses Intel’s new Goldmont architecture, and straddles the desktop and the mobile space, with both the Pentium and Celeron lines. Why this matters: What makes this announcement particularly intriguing is Chuwi’s build quality, which was evident in the company’s earlier (and otherwise unimpressive) HiBook. 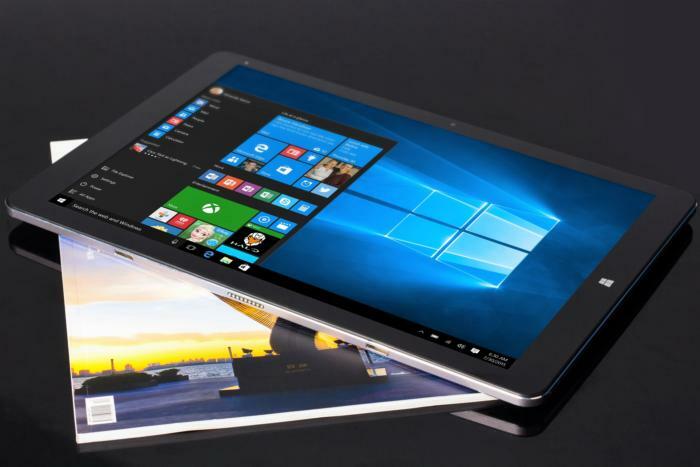 The Hi13 looks to be a straightforward detachable Windows tablet, that will likely deliver minimal performance in specialized applications. But I confess to being somewhat obsessed with finding a solid low-end Windows tablet, and this one shows promise. Intel’s Atom struggled to find a niche, as it consumed too much power for phones and couldn’t upend the ARM chips found in Android tablets. As a result, Intel killed off its remaining Atom chips for smartphones and even tablets, rendering Apollo Lake the last 6-watt option for 2-in-1 devices. The key will be how long the new Celeron Atom can maintain burst mode, as its clock speed can climb to 2.2GHz, far above the 1.8GHz burst of the earlier chip. The new Apollo Lake chip also includes a more powerful HD Graphics 500 Core, though we doubt you’ll be playing Battlefield games on the new tablet. Basically, this device populates the space of “good enough” computing: As performance continues to climb in the high-end, low-end chips will satisfy more and more customers while maintaining a low price. I’m eager to test a Hi13, and to compare it to the upcoming lineup of Windows 10 tablets that use Qualcomm’s processors. Let’s hope for the same level of competition in the low-end PC space as we’re expecting between Intel’s Core and AMD’s Ryzen!